These are testimonies of children from Fallujah, who had escaped ISIS just hours before. They are traumatized and shell-shocked, often unable to answer the most basic questions about themselves or their families. They wear the pain and trauma of war on their faces. This week, we are sharing rough, raw stories from the camps around Fallujah. We chose not to “polish” them or “clean them up” before sharing, because we want you to experience the rawness of life in the camps, from the perspective of those who spend hours tailoring videos, selecting music, and trying to make them as appealing as possible, but not this week. This is about simply coming face-to-face with people right after they escaped ISIS terror in Fallujah. Their stories and statements matter, and they are worthy of our love. Thank you for showing up in the desert with food and water to make sure they know that. Stay tuned for more video from the camps. 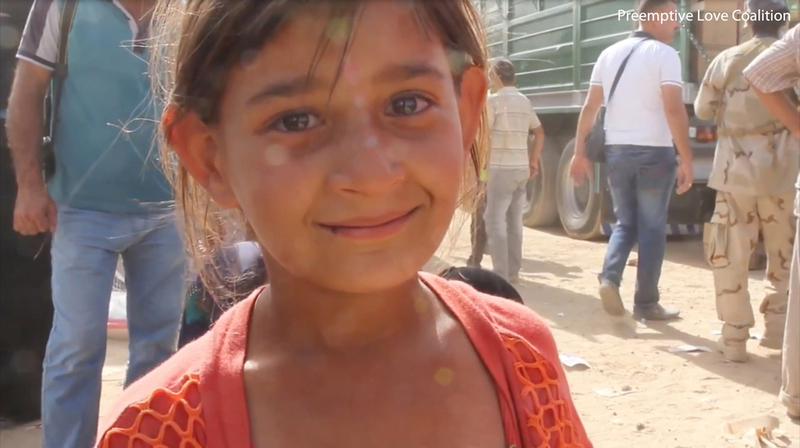 Help us continue to care for children traumatized by war and stranded in the desert.